Craig Kerins and Robby Johnston, co-owners of The Raleigh Architecture Co., will join a panel discussion on “Redefining The American Dream: Housing Preferences of Millenials and Boomers,” presented by the Urban Land Institute’s (ULI) Young Leaders Group of the Triangle. The event will take place in downtown Raleigh on Tuesday, April 28, from 5:30 – 7:30 p.m. in the Raleigh Grand Ballroom at the Capital Club Building, 16 West Martin Street. The panel will examine how the shifting tastes and preferences of Millennials (people born from 1981 to 1997) and Baby Boomers (born 1946 to 1964) are influencing new speculative – or “for-sale” — housing development in the Triangle area. Along with the latest insights from local real estate economists, marketers, developers, and builders, Kerins and Johnston will discuss urban infill housing. For the past two years, The Raleigh Architecture Co.‘s partners have been developing, designing, and building urban infill houses – a series of modestly sized Modern, sustainable homes — on vacant lots in an old, established neighborhood just east of downtown Raleigh. The neighborhood includes all generations, from Millenials to senior citizens. Johnston, a “Generation Xer,” lives with his family in one of the houses on East Edenton Street. Other members of the panel will be: Jay Colvin, director of the Triangle/Triad Metrostudy; Rick Bagel, developer of Wetrock Farm; Will Yadusky, director of Acquisitions and Development for Baker Residential; and Jonathan Barefoot, vice president of Business Development for Fonville Morisey Barefoot. Joseph Martinez, development manager for Northwood Ravin, will moderate the discussion. Founded in 2005, ULI Triangle has grown quickly to become the premier real estate organization in eastern North Carolina providing leadership in the responsible use of land, educational programs, and community outreach to address land use challenges. The Young Leaders Group is comprised of ULI members under the age of 35 who want to be actively involved in shaping the future of the real estate industry in the area. For more information: http://triangle.uli.org/. 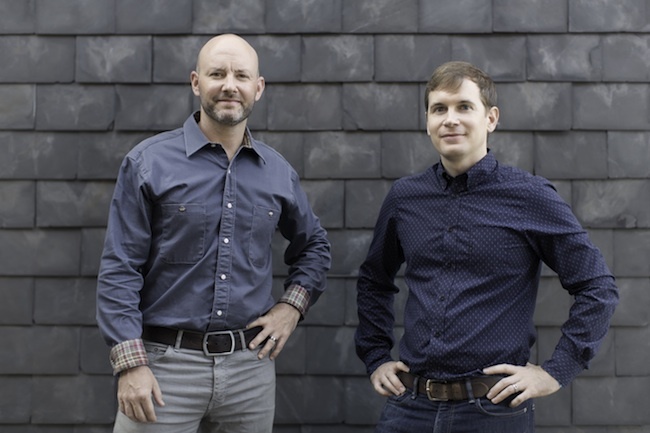 Johnston and Kerins founded The Raleigh Architecture Company and The Raleigh Construction Company, in the Warehouse District of downtown Raleigh in 2012. Since then, the young firm has completed 15 Modern residential projects and 15 commercial projects, including retail up-fits within existing historic buildings from Raleigh to Asheville. Kerins also designs and hand crafts Modern furniture. For more information visit www.raleigh-architecture.com. You are currently viewing the archives for April, 2015 at THE RACo JOURNAL.